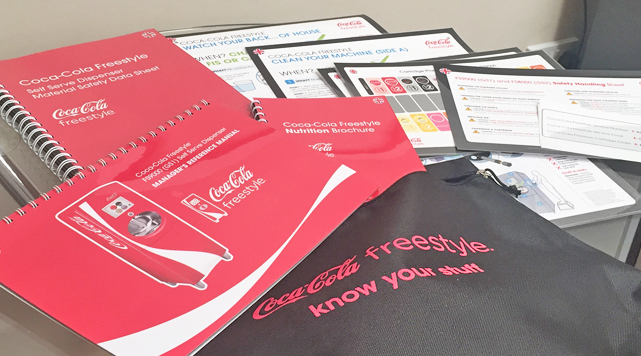 Print production, manage and distribute Coca-Cola Freestyle training packs throughout Europe. 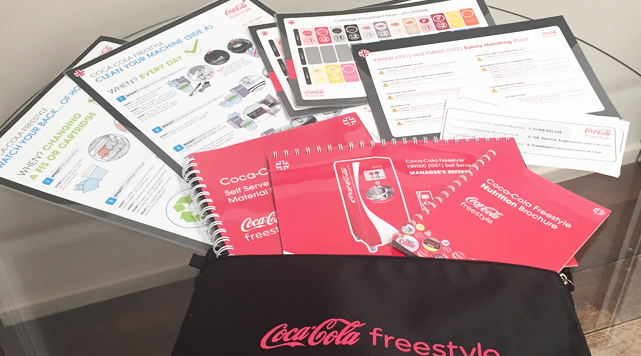 Produce various print media, user manuals, posters and vinyl stickers for Coca-Cola’s Freestyle vending machine operators. Liaising with our client we ensured the print production and delivery of the training packs were achieved within the tight deadline.